So I have called these "family favourites" as they are great for kids but I would happily get stuck into them with or without children! The summer holidays are also in full swing, so if you need some inspiration then keep following next week for some more recipes. The key to all these meals are they are quick to put together, which as a mother of a 1 year old I know is important. 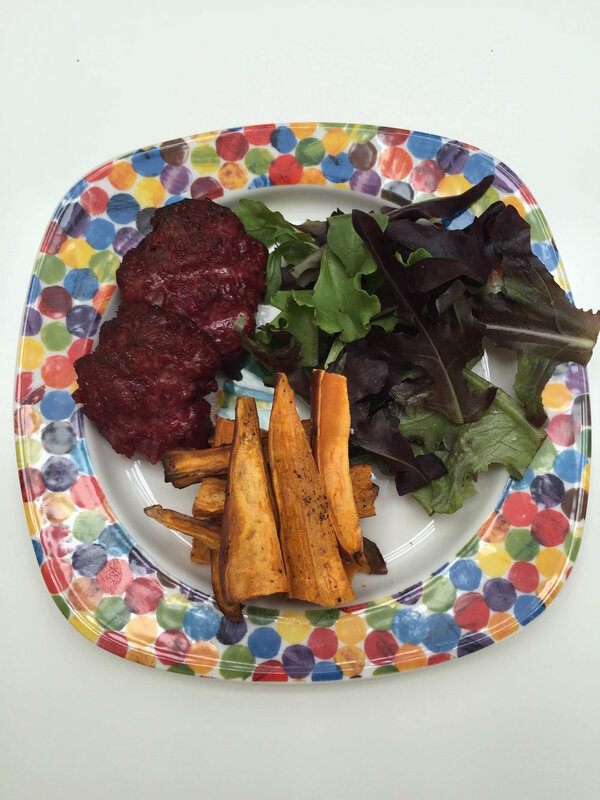 Prior to life as a mum, I worked in the city and getting home at 730pm in the evening, meant that I needed quick meals that I still wanted to be nutrient dense. This recipe is also a great way to sneak some vegetables into their regular meals, without them knowing. Health benefits of Beef: Beef is a great source of protein and is full of iron, which is needed to carry oxygen around the body. Low iron can cause anemia and symptoms can include dizziness, fatigue and fainting. It is also full of zinc that is great for the immune and reproductive system. Health benefits of Beetroot: Beetroot are a great food for the liver and encourage detoxification in the body. They contain good sources of iron and folic acid, which boost the blood. We’ve all heard of folic acid and the importance during the first trimester in pregnancy but it is also key for lowering homocysteine levels, a toxic chemical that has been linked with cardiovascular disease and poor mental function.